There is one fact about business; without customers it cannot thrive. The term customer is king was not just coined out of nowhere. It is important to understand the weight that this statement carries. The ripple effect is very clear. With customers, you get sales as a business, with sales you make revenues which get you profits. Without customers, you do not have anyone buying what you are offering meaning that you are not making any sales which eventually means no revenues and ultimately no profits. It is important that you take good care of your customers for your business to continue to grow. How is this achieved? You need it not only continuously meet your customers’ needs but you also need to satisfy them. The only way that you can do this is clearly understanding what they want and when they want it. Research and development is a verycritical aspect of any business that is looking to grow. You need to be able to continuously tell the trends in the market. Trends change from day to day. People want this product today and want another one tomorrow. They want a product the way that it is today and tomorrow they want it differentiated in a certain way. The only way that you can have this information is if you constantly have your ears on the ground and you are listening to what the market is saying. It is true that conventional research and development is quite expensive and quite involving. It involves the use a lot of resources and effort that might be quite difficult for small businesses to manage. Not to worry though as you have twitter polls. Twitter polls are a feature on twitter that are very effective in collecting information. This is a feature that was recently added but has greatly benefited a lot of people and can also benefit your business. Its structure is similar to that of the conventional opinion polls with the only difference being that it will not cost you a lot of time and resources to set up. It is a simple poll that you can set up on your twitter pages and its tallying is done automatically as people continue to participate in it. You thus continue to get results as the poll is going on. The good thing is also that twitter has millions and millions of users thus you have a very good sample size to work with for your twitter polls. Another advantage that comes with these polls is the fact that people tend to be brutally honest on social media platforms thus you can get true and objective opinions. On these polls you can ask any and all questions that you need to find out about your business, the way it is being perceived in the market and the response that people are having towards your products and services. You can also find out what more people expect fromyou and what they would like you to change, improve on or introduce. 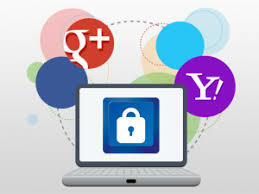 Social media platforms have become a necessary component for the day to day running of business activities. Business organizations that have embraced the use of social media platforms effectively have enjoyed a great breakthrough in product exposure and marketing as well as getting real-time transparent insight into consumers’ preference. However, for a business to succeed, conducting market research on the product performance in the market is necessary. This helps to inform on whether certain strategies applied are working or even whether the consumer is satisfied with the product and services offered by a certain organization. Twitter polls come in handy at this juncture. It’s cheap, easy to use and a convenient way of getting real-time feedback from current and potential consumers. One might ask, why twitter polls? Is it really effective research method? Getting information from consumers can be a bit hard. This is because people are more occupied by their activities today more than the past few years trying to cope up with the ever-escalating economic realities. Hence ruling out the traditional methods used for conducting market research. This avails a perfect opportunity for running polls that provide interactive feedback. Basically, twitter polling is just like the normal twitting the only difference is that below the body of the tweet is several voting options probably three to four. Anyone from Twitter can participate in this poll so it’s not restricted to followers only. 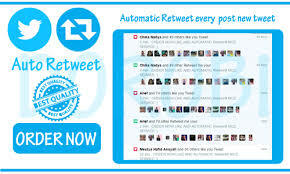 Additionally, just like any other tweet, polls can be retweeted, shared replied to publicly and favorited hence increasing your brand popularity. Is it difficult to use the polls? A Twitter poll is a brilliant tool on the Twitter platform basically designed for business organizations to interact with their consumers in real time. 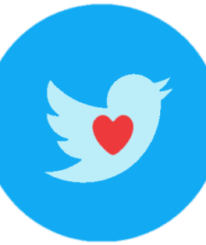 Small business owners are finding twitter polls quite useful in terms of getting an audience without having to spend a considerable amount money on this. The market insight that these polls provide especially within a short period can be a lot essential in evading threats as well as partaking viable business opportunities in time. This can be seen in small businesses that have grown by leaps and bounds within a very short time. All you need to do is get insight on how to attract people to participate in your poll tweet. This includes the use of humorous tweets on trending topics that drives back the audience to what your brand has to offer. Remember that twitter polls don’t have to be very research-focused. Understanding the consumer in the industry and market that you are operating in is basically the foundation of a business that is on the success path. Conducting polls is an easy way of doing this, it’s a way of letting your consumers know that their opinion on the product or services you are offering matters. The polls can range from one topic to another and can be conducted continuously, hence keeping you informed on what the consumer thinks of what you are offering. As a result, the insight gained would be impactful to the business in the long run. Automatic Favorites are very popular in the world today. Many businesses are looking for visibility on social media platforms and they are looking for that fast and convenient way of getting it. This has definitely grown the demand for these favorites to a very large extent. There are very many entrepreneurs that have realized that there is good market in the provision of this service and have decided to join the band and make a good profit out of it all. This then simply means that there is a very large number of service providers available for the same in the market. This can be both an advantage and a disadvantage for nay business looking to purchase the favorites. How then do you make sure that you are getting the right provider? Just like with any other market, it is important to accept the fact that the market for automatic favorites will also come with a few unscrupulous businessmen who are simply looking to make a quick buck and not necessarily provide you with the service that you require. It sin thus important that you conduct a good due diligence on any company that you will be looking to work with. Do not hastily make the decision to work with any company; this might end up costing you a lot. Take the time to conduct your market researchand really know and understand what people are saying about that particular service provider in the market. Do not be easily attracted by cheap prices, colorful websites and fancy words;remember that looks can be deceiving and cheap is expensive. It would be a good idea to work with referrals from family, friends and fellow businessmen. This way you will be getting some form of guarantee that the service provider that you will be working with for the automatic favorites will be able to hold up their end of the bargain. This will be based on the information that you will be getting form the person that has referred you. Make sure also that the person that you are getting the referral from is somebody that you can trust and whose opinion can hold water. You need not just rush to get opinions form anyone because remember also that everyone usually has an opinion. When it comes to buying automatic favorites right, taking your time is a very important factor. Make sure you do not just opt for the first service provider that you come across unless he or she was referred to you and you can rely on the word of the person making the referral. The internet today is awash with people that are looking to make quick money from gullible and unsuspecting persons. Taking your time to choose the right provider will help you to avoid falling prey to these people. Do not rush the process and also make sure that you read online reviews about the service provider that you are looking to work with. This will help you get an indication of the type of service you will get from them. You have heard over and over again of the benefits that you can get for your social media marketing campaign form automatic favorites. You are sure that they are going to get you the visibility and attention that you need and get your business on the level that you want it to reach. You are very willing to spend your money on these favorites as you can clearly see that the benefits that your business will ultimately enjoy are numerous. You are now looking for a service provider and ofcourse you want to find the best one available out there. There is one thing that you should never undermine; the power of getting the right service provider. It is important to remember that your business is what is at stake here. You are doing all this just to get your business on the map. You are not going out there to spend money on automatic favorites for the sake of doing it. There are certain results that you want to get from them and you need to see the money that you are investingactually working for you. You can be sure that if you do not get the right service provider, all the money that you invest will go to waste. You will not get the results that you are looking for. What do we mean when we say the right service provider? Automatic favorites are generated automatically. They are usually generated by a systemand are generated in large numbers. This does not howevermean that they need to be generated in an adhoc manner. There has to be a semblance of order and a system within which the favorites are generated. Remember that you are looking to convince the market that peopleout there are actuallyrespondingwell to what you are putting out there. This means that these favorites need to be realistic and look realistic. They need to actually look like youare indeed getting response from the market and not just creating the response. You have to understand that there is a certain psychological ploy involved here. This is the main reason as to why you should get a good and professional service provider for the automatic favorites. You need to work with someone who understand what they are doing. You need to work with someone who understand the social media platforms very well and understands how they work. You need to work with a professional who understands that this is work and there is money that is being invested here and you are looking to get value for the money. Make sure then that you carry our proper due diligence on your service provider before you start working with them. If you rush to get a service provider, you might end up with someone who is just looking to make some quick money from you and you can be sure that you will not get value for your money from the automatic favorites that they will supply you with. In the recent past, massage chairs have really become popular. More and more people are choosing to invest in massage chairs andyou might be wondering why this is the case. The fact that their popularity is growing at thus very high rate obviously goes to say that there is something good that these chairs are bringing to the table. Massage parlors have for a long time been very popular venues. They have been known to be the turn to area for people that are looking to simply relax their bodies and get rid of the stress that they have gone through the day or week. Trends are however shifting and you might be wondering why this is the case. This is not an attempt to undermine the massage parlors in any way. Both massage parlors and massage chairs serve the same purpose of giving people massages but they each have their own benefits that might make people incline in whichever direction. Massage parlors are great due to the fact that they offer a variety of services and the services are offered by professionals. One sim-ply needs to book an appointment, visitthe parlor at the time of the appointment and get to enjoy a variety of services that will leave them pampered. At theend of the day, one will still leave there feeling very relaxed and rejuvenated. So why are people increasingly moving towards massage chairs? The reason as to why these chairs are increasingly becoming popular is the convenience that they bring to the table. It is true that the initial cost of acquiring these chairs can prove to be very high but once one buys it, it is definitely an investment worth making. The chair sits in the comfort of your home. This simply means that one can get a massage whichever time that they want. One can have a massage as frequently as many times as they would want to. The frequency and period for which one enjoys a massage is not dictated by the schedule of a masseuse. The chair is available for use whenever one needs it. This is the convenience that is being talked about here. With massage parlors, mostly one has to schedule for an appointment and you can only enjoy between one to two hours of massage. The frequency with which one gets a massage will also normally be dictated by how busy the massage parlous is. 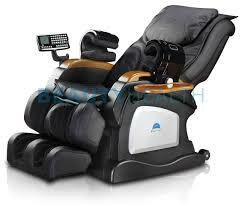 Cost is also another factors as to why most people are opting to have massage chairs. It is true that the initial cost of acquiring the chair can be high but the good news is that once that has been paid, there are no more costs that are associated with the chairs. One gets top enjoy massages as many times as they would want. With massageparlors one has to pay for each and every visit. Most of them are usually actually very costly. The payment that is also made usually depends on the services that one wants to enjoy; the more services that one wants to enjoy, the higher the amount of money that theywill be forced to pay. Both massage parlors and massage chairs serve the same purpose of relaxing the body and allowing the individual to enjoy the various health benefits that comewith having massages. Both of them do bring good things to the table. However each of them, has certainseparate advantages over the other. At the end of the day, the decisions will lie with you as an individual. You will have to choose what works best for you. 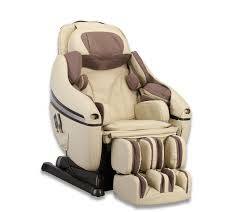 The convenience that comes with the chairs can be pf very great help for [people with very busy schedules and w9th barely any time to spare to enjoy an hour or two in a massage parlor. The chair will ensure that you continue to enjoy the health benefits without having to squeeze your schedule. However in the event that you can get an hour or two to spare and you want your body tobe handled bya professional and be wellpampered, it would definitely be good for you to visit the parlors every once in a while. Marketing is a very tricky business. The competition out there is rampant and one requires good strategies to hack the industry. Other than that, one requires to use means that save on money and cut on costs whilst delivering quality so as to keep clients and manage the business well. Any marketer can be a reseller using the reseller panelsoftware. It allows newbies to familiarize themselves with social media marketing better and to excel at it at a shorter time period. It is also an excellent platform for experienced social media marketers who may have a lot of accounts to manage or a lot of workload. By making the management of social media easier, it provides convenience and ease in service delivery. Business and services expansion – Becoming a reseller will help you expand your business as you can accommodate more clients and are able to offer more services. You will also be able to offer more efficient services to clients as the reseller panel offers convenience and ease of operations. The reseller status allows you to get and sell all the products the software provides. This means you benefit as a social media marketer and also gets to add on to your business through reselling. You get the catalog at wholesale prices and sell at retail prices. Other than that, you also get assistance with setting retail prices making it easier for you. More money and profitability – The whole essence of any business is to be profitable. The software provides clients with infrastructure that makes it necessary for them to improve operations. This not only benefits your business but also acts as a selling point to your clients. The infrastructure provided allows you to resale to all types of clients and improve your profitability. Selling to corporates and businesses is often the best idea for a person looking to maximize profits and optimize operations. Panel for reseller accounts are quite lucrative for people conversant with how to navigate social media. As the whole process has been made convenient and easy, one can be able to multitask with regard to other business endeavors. In the end, you are making money in a big way and aside from account costs, spending very little on other costs.